Cheraghi, M., Bahramnezhad, F., Mehrdad, N., Zendehdel, K. (2016). View of Main Religions of the World on; Don’t Attempt Resuscitation Order (DNR). 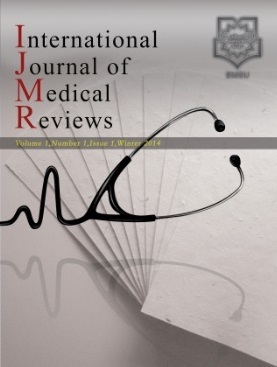 International Journal of Medical Reviews, 3(1), 401-405. Mohammad Ali Cheraghi; Fatemeh Bahramnezhad; Neda Mehrdad; Kazem Zendehdel. "View of Main Religions of the World on; Don’t Attempt Resuscitation Order (DNR)". International Journal of Medical Reviews, 3, 1, 2016, 401-405. Cheraghi, M., Bahramnezhad, F., Mehrdad, N., Zendehdel, K. (2016). 'View of Main Religions of the World on; Don’t Attempt Resuscitation Order (DNR)', International Journal of Medical Reviews, 3(1), pp. 401-405. Cheraghi, M., Bahramnezhad, F., Mehrdad, N., Zendehdel, K. View of Main Religions of the World on; Don’t Attempt Resuscitation Order (DNR). International Journal of Medical Reviews, 2016; 3(1): 401-405. Introduction: Decision making on DNR is the only unique treatment decision that is formed before the treatment occurs. Since the decision making on DNR is dependent on moral, religious and legal issues, then, it is a complicated and difficult decision and largely depends the religious beliefs of a society. Elsevier, Scopus, Cochran Library and also databases including SID, Iran Medex and Magiran. In addition, a manual search was done on articles references. Results: The Jewish religion, life is extremely valuable and no one has the right to shorten it. The only exception is when physiologic resuscitation is not possible or the patient is an imminently dying or moribund person. Most Christians believe that the patient has the right to reject trying to be revived. Muslims must take the necessary measures to prevent premature death. However, treatments that prolong life for patients who, physicians are certain, do not have a great chance of survival, can be discontinued or not initiated. Conclusion: Decision making on DNR is the only unique treatment decision that is formed before the treatment occurs. Since the decision making on DNR is dependent on religious, then, it is a complicated and difficult decision and largely depends on communities' understanding of human dignity. Perhaps it is necessary to learn about patient’s religious beliefs on admission to health systems in order to establish a better communication and plan a treatment regimen for them which suits their religions. Park Y-R, Kim J-A, Kim K. Changes in how ICU nurses perceive the DNR decision and their nursing activity after implementing it. Nursing ethics. 2011;18(6):802-13. Dubois M. Ethical issues at the end of life. Techniques in Regional Anesthesia and Pain Management. 2005;9(3):133-8. Brindley PG. Perioperative do-not-resuscitate orders: it is time to talk. BMC anesthesiology. 2013;13(1):1. Palda VA, Bowman KW, McLean RF, Chapman MG. “Futile” care: Do we provide it? Why? A semistructured, Canada-wide survey of intensive care unit doctors and nurses. Journal of critical care. 2005;20(3):207-13. Niederman MS, Berger JT. The delivery of futile care is harmful to other patients. Critical care medicine. 2010;38(10):S518-S22. Bahramnezhad F, Cheraghi MA, Salsali M, Asgari P, Fomani FK, Sanjari M, et al. Futile Care; Concept Analysis Based on a Hybrid Model. Global journal of health science. 2014;6(5):p301. Mani R, Amin P, Chawla R, Divatia J, Kapadia F, Khilnani P, et al. Guidelines for end-of-life and palliative care in Indian intensive care units: ISCCM consensus Ethical Position Statement. Indian Journal of Critical Care Medicine. 2012;16(3):166. Oh D-Y, Kim J-H, Kim D-W, Im S-A, Kim T-Y, Heo DS, et al. CPR or DNR? End-of-life decision in Korean cancer patients: a single center’s experience. Supportive care in cancer. 2006;14(2):103-8. Sanjari M, Zahedi F, Aala M, Peymani M, Paraspour A, K A, et al. Nursing Code of Ethics Iranian Journal of Medical Ethics and History. 2012;5(1):18-30(Persain). Manalo MFC. end-of-Life Decisions about Withholding or Withdrawing Therapy: Medical, ethical, and Religio-cultural considerations. Palliative care. 2013;7:1. Cheraghi MA, Bahramnezhad F, Mehrdad N, Zendehdel K. Development of the Draft Clinical Guideline on How to Resuscitate Dying Patients in the Iranian Context: A Study Protocol. IJP. 2016. (In Press). Paraspour A, Bagheri A, Larijani B. Patient's Bill of Right in Iran. Iranian Journal of Medical Ethics and History. 2010;3(3):39-47(Persain). Park Y, JA K, Kim K. Changes in how icu Nurses Perceive the dnr Decision and Their Nursing Activity. Nursing ethics. 2011;5(3):123-9. Smith H, Marranca R. The world's religions: HarperOne New York; 2009. Farid A, Habibi R, Asadollhi S, Zianivan Y. different religious and gender prejudice based on religious affiliation and languges,students. Ethnicity and culture of the Islamic Conference(Persian). 2014. Jadad, A. R., Moore, R. A., Carroll, D., Jenkinson, C., Reynolds, D. J. M., Gavaghan, D. J., et al. (1996). Assessing the quality of reports of randomized clinical trials: is blinding necessary? Controlled clinical trials.1996; 17(1), 1-12. Bacchetta MD, Eachempati SR, Fins JJ, Hydo L, Barie PS. Factors influencing DNR decision-making in a surgical ICU. Journal of the American College of Surgeons. 2006;202(6):995-1000. Mobasher M, Aramesh K, Zahedi F, Nakhaee N, Tahmasebi M, Larijani B. End-of-life care ethical decision-making: Shiite scholars’ views. Journal of Medical Ethics and History of Medicine. 2014;7. Steinberg A, Rosner F. Encyclopedia of Jewish Medical Ethics: A Compilation of Jewish Medical Law on All Topics of Medical Interest: Feldheim Publishers; 2003. Bülow H-H, Sprung CL, Reinhart K, Prayag S, Du B, Armaganidis A, et al. The world's major religions' points of viewon end-of-life decisionsin the intensive care unit. Intensive care medicine. 2008;34(3):423-30. Ravitsky V. Timers on ventilators. BMJ: British Medical Journal. 2005;330(7488):415. Loike J, Gillick M, Mayer S, Prager K, Simon JR, Steinberg A, et al. The critical role of religion: caring for the dying patient from an orthodox Jewish perspective. Journal of Palliative Medicine. 2010;13(10):1267-71. Schostak RZ. Jewish ethical guidelines for resuscitation and artificial nutrition and hydration of the dying elderly. Journal of medical ethics. 1994;20(2):93-100. Burns JP, Edwards J, Johnson J, Cassem NH, Truog RD. Do-not-resuscitate order after 25 years*. Critical care medicine. 2003;31(5):1543-50. Shannon TA. Nutrition and hydration: an analysis of the recent Papal statement in the light of the Roman Catholic bioethical tradition. Christian bioethics. 2006;12(1):29-41. Hatzinikolaou FN. Prolonging life or hindering death? An Orthodox perspective on death, dying and euthanasia. Christian bioethics. 2003;9(2):187-201. Daar AS, Khitamy A. Bioethics for clinicians: 21. Islamic bioethics. Canadian Medical Association Journal. 2001;164(1):60-3. Ebrahim A. The living will (Wasiyat Al-Hayy): a study of its legality in the light of Islamic jurisprudence. Medicine and law. 1999;19(1):147-60. Sachedina A. End-of-life: the Islamic view. The lancet. 2005;366(9487):774-9. Saiyad S. Do not resuscitate: a case study from the Islamic viewpoint. Journal of the Islamic Medical Association of North America. 2009;41(3). Gouda A, Al-Jabbary A, Fong L. Compliance with DNR policy in a tertiary care center in Saudi Arabia. Intensive care medicine. 2010;36(12):2149-53. Jaul E, Zabari Y, Brodsky J. Spiritual background and its association with the medical decision of, DNR at terminal life stages. Archives of gerontology and geriatrics. 2014;58(1):25-9. Peymani M, Zahedi F, Larigani B. In order not to revive civil society and the necessity of a moral guide. Journal of Medical Ethics and History of Medicine. 2012;5(5):18-20(persian). NazariTavakoli S. Brain death compared with non-ddeployed ife Article and reviews. 2009;3(73):112-8(Persian).